When you go to Select Pattern, have you ever wondered what Quad means. During the first Quilt Path Camp we played with Quads. When you off set them the negative space repeats the same design. 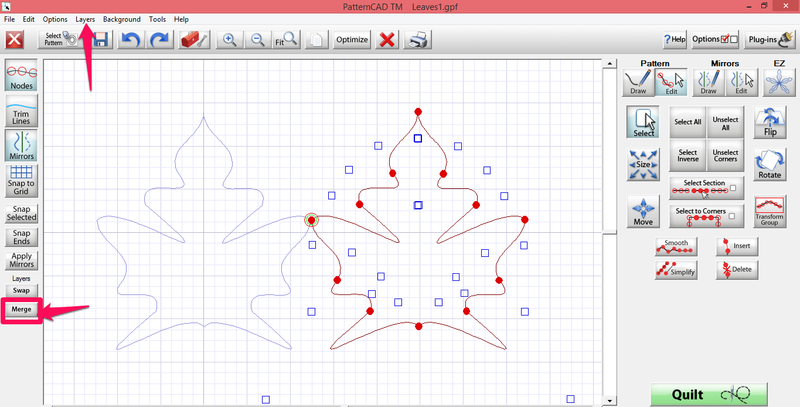 In PatternCAD, go to Select Pattern and choose Leaves1.gpf. 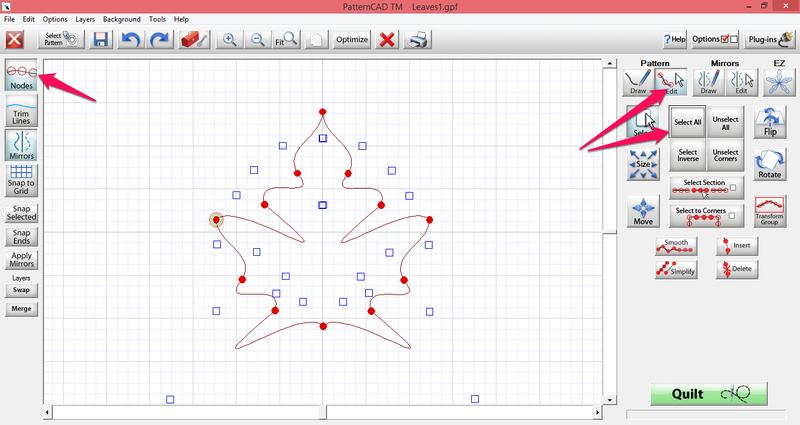 With your Nodes on, under Pattern go to edit and Select All. Then go to Layers on the File Menu Bar and Select Copy to Bottom Layer. 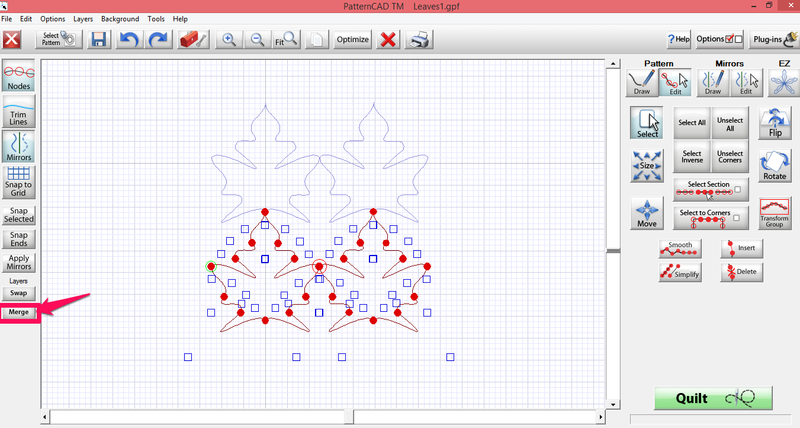 Drag the Leaf on the top layer so that it to the right and touching the leaf on the back ground layer. 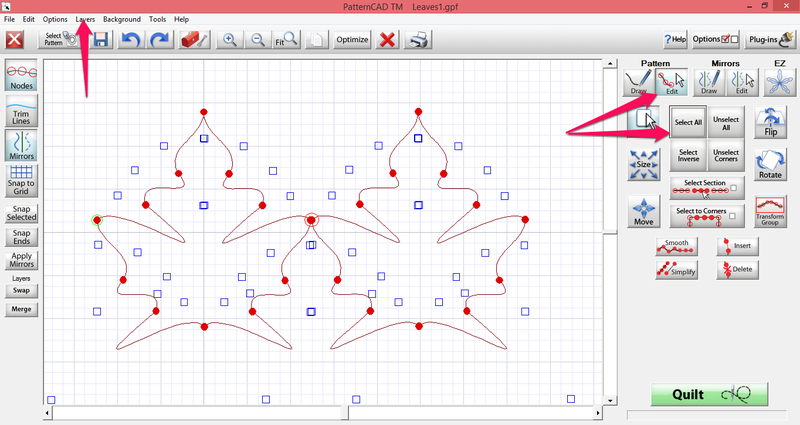 Then Tap the Merge button on the bottom left of PatternCAD. Now go back to Layers and Copy to the Bottom Layer. Make sure that you have Selected all of your Nodes and then drag the top design so that it is below the one on the background and touching. 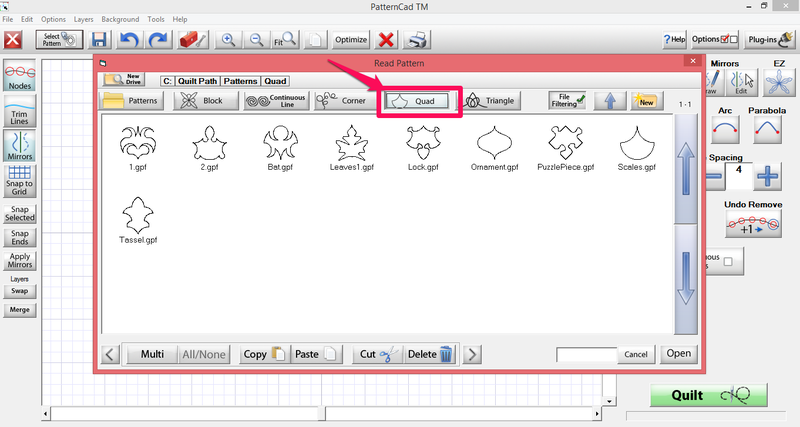 Go to Layers - Merge on the bottom left of PatternCad and then you get the design in the screenshot below. 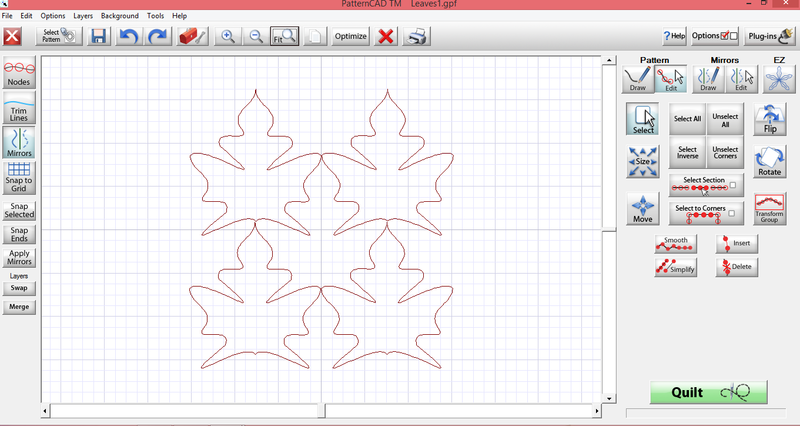 Notice the fifth design that is in the center of the four designs. That is what Quads do. When you place four designs together, the negative space from those designs forms the center design. Angela, I never had a clue what a "Quad" was. Thanks for sharing this information. Is this used to make a panto? Or just for placing blocks? Visit us at the Davie Quilt Show!